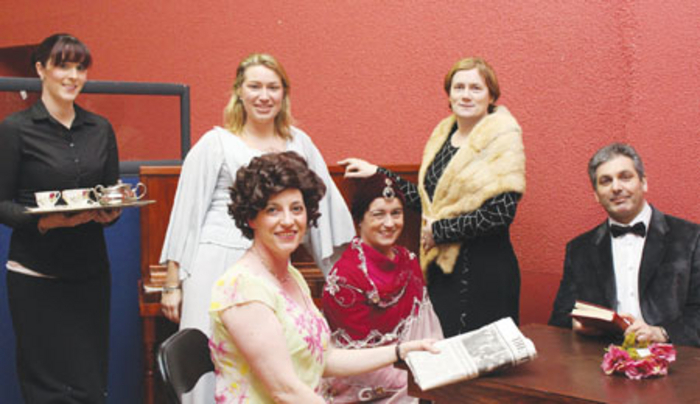 Mount Temple Drama Group presents Blithe Spirit by Noel Coward in Tuar Ard, Moate from Wednesday January 21 to Sunday January 25 at 8pm. Charles Condomime is a successful novelist and Ruth is his charming, strong-willed wife. In order to conduct research for Charles’ latest book, they invite a medium to their home to perform a séance, expecting that the eccentric psychic, Madame Arcati, will be a humorous shyster. However, her ability to connect with the dead is genuine. After prancing around the room reciting nursery rhymes, Madame Arcati summons a ghost from Charles’ past, Elvira - his first wife. Charles can see her, but no one else can. Elvira is flirtatious and catty. She enjoys insulting Charles’ second wife. At first Ruth thinks her husband has gone insane. Then, after watching a vase float across the room, (thanks to Elvira ) Ruth accepts the strange truth. What follows is a darkly funny competition between two women, one dead, one living. They battle for the possession of their husband, but as the haunting and the hollering continues, Charles begins to wonder whether he really wants to be with either woman! One husband, two feuding wives, and a whisper of mischief in the air - who will win in this unworldly comedy? Tickets for Blithe Spirit are priced at €10/€8. For more information call the box office on (090 ) 6482042. Page generated in 0.0787 seconds.